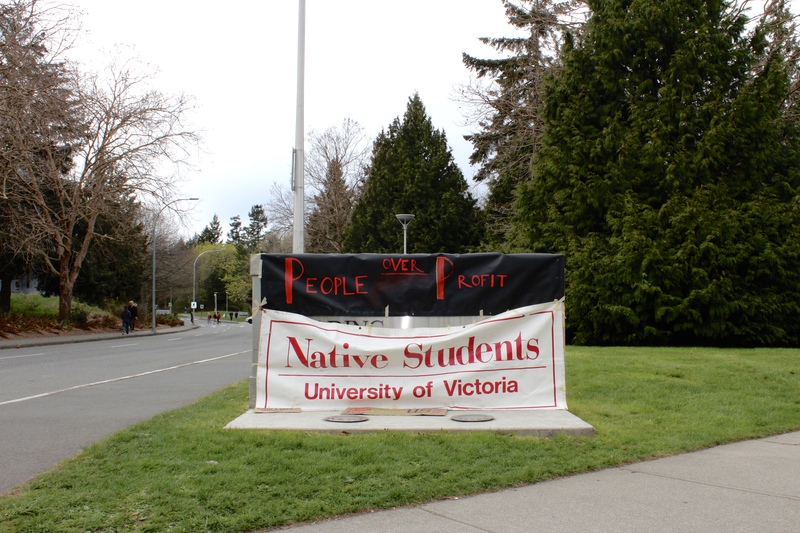 On Friday, April 5, a group of students established a picket line and formed a blockade around UVic’s primary administrative building in retaliation for the Board of Governors’ (BoG) international student tuition hikes and continued investments in fossil fuel companies. 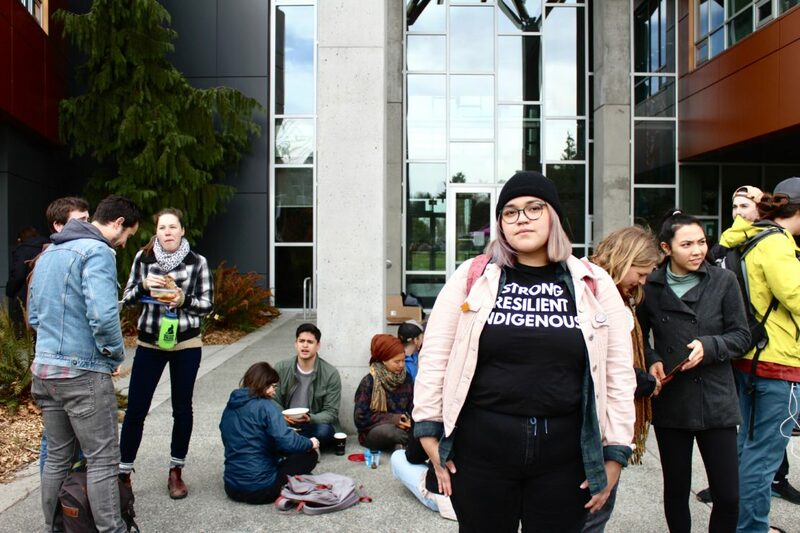 Students began arriving as early as 7:30 a.m. to establish the picket line in hopes of shutting down the Michael Williams Building, and to stand in solidarity with international students — who have seen their tuition rise by 35 per cent for undergraduate and eight per cent for graduate students in the past two years. 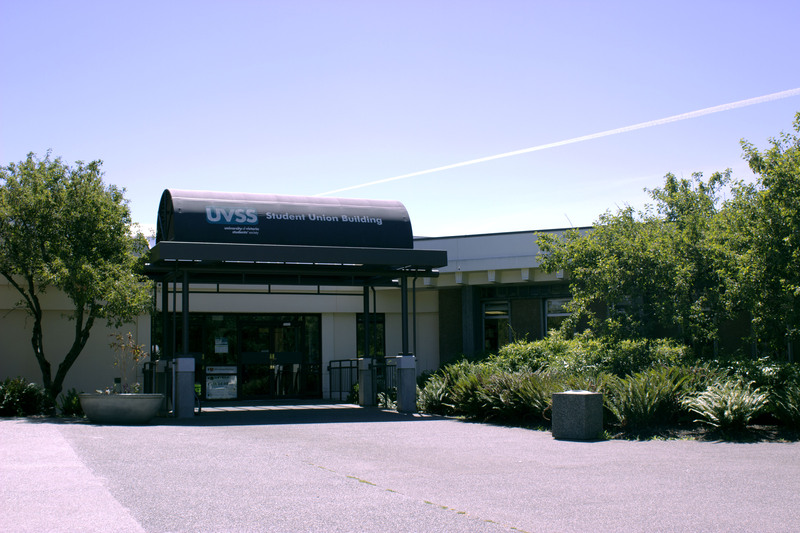 “The [UVSS] Food Bank actually reported in this past year that up to  per cent of the people who use the Food Bank are international students, and that’s pretty much a direct result of the insane tuition hikes,” said Shay lynn Sampson, an organizer of the protest. On Mar. 26, the BoG passed the 2019-2020 budget, raising international undergraduate students’ fees by 15 per cent. This follows a 20 per cent raise in fees in 2018. The budget was passed in spite of a large protest that occurred in the Senate Chambers, that resulted in the BoG walking out the back doors and passing the budget in private, and student protesters taking over the room and hosting an overnight sit-in. 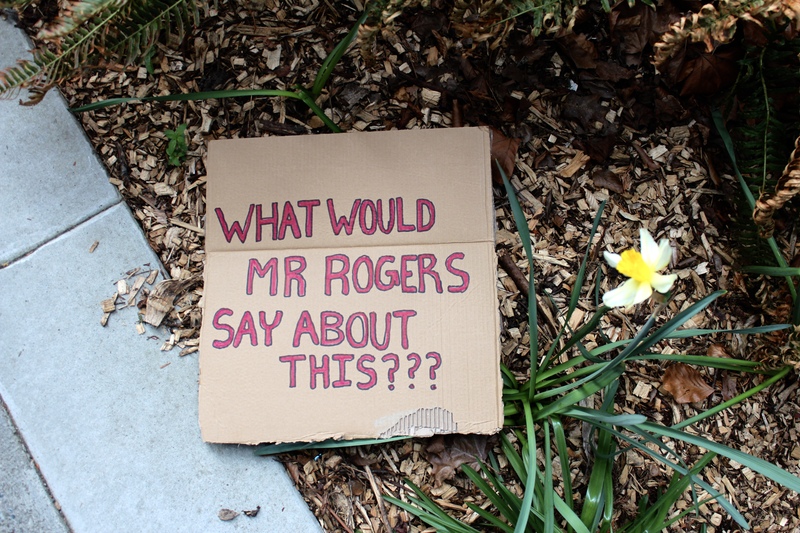 Eventually, the protesters released a list of demands — including reinstating the university’s pre-2017 equity-based tuition policies, committing to meaningful financial accountability, increasing student representation on the BoG, and a formal request for the university to divest from fossil fuels. Shay lynn Sampson was one of the protest’s organizers. Photo by Anna Dodd, Editor-in-Chief. 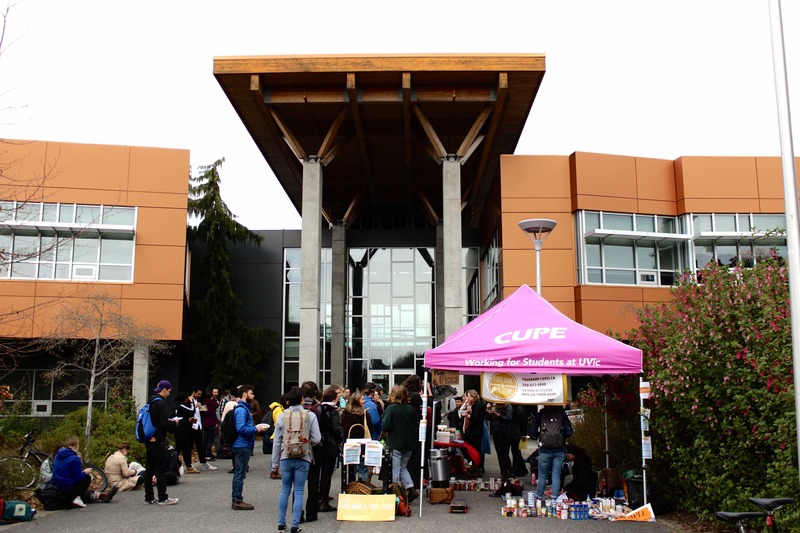 The event, called “Food Not Fees: Anti-Corporatization Cookout,” was held in coordination with both the Food Bank and the UVic Community Cabbage, who started handing out free meals around noon to a line of 50 to 60 students. 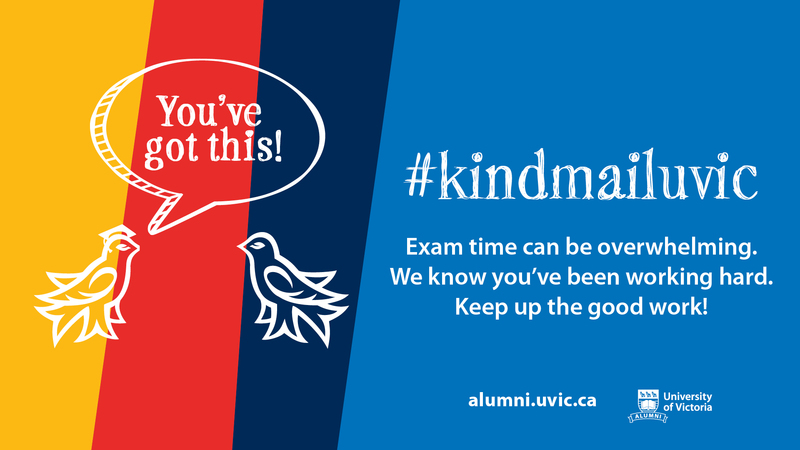 The goal of the campaign was to raise roughly $2 400 worth of donations to the Food Bank, which is approximately the same amount of money it cost one international student to take one course at UVic before the most recent hike. Sampson said they hoped the administration would match their donations, but instead staff were rerouted and allowed to leave early. According to some attendees and organizers, a few staff members tried to force their way through the blockade of protesters and into the building. The University, however, denied that any physical altercations took place. “We had hoped that the administration would be able to make a donation total of food amounting to the price of one international student course, but they actually just rerouted to another location, discussed it a bit, and I’m pretty sure they sent all their employees home for the day,” said Sampson. The beginning of the protest, Sampson said, was “a bit aggressive.” According to some attendees and organizers, a few staff members tried to force their way through the blockade of protesters and into the building, resulting in Campus Security intervening. The University, however, denied that any physical altercations took place. “Of the numerous people who found themselves, without warning, unable to access the building to do their jobs at a critical time for financial year-end reports, two people who were upset had verbal exchanges with people blocking the doors before walking away,” said Tom Downie, Director of Campus Security. Ryan Broe, one of the organizers, believes this event will force administration to realize the campaign isn’t slowing down. “The reason behind this was in part to show that the Senate takeover and the protest was not a one off action,” said Broe. The sign identifying the Michael Williams Building was covered by banners. Photo by Anna Dodd, Editor-in-Chief. Around 12:30 p.m., as students started filing out of classes, many flocked to the Michael Williams Building and started sitting in large groups outside the foyer with a hot meal in hand. “It’s absurd what international students have had to go through in the past few years, a jump of 35 per cent in their tuition is really absurd, and for graduate students by eight per cent in total,” said Sampson. When asked what she would say directly to Cassels had he shown up, Sampson said she would ask him some important questions.